May 12 – June 30, every Sunday 3:00-9:00pm. 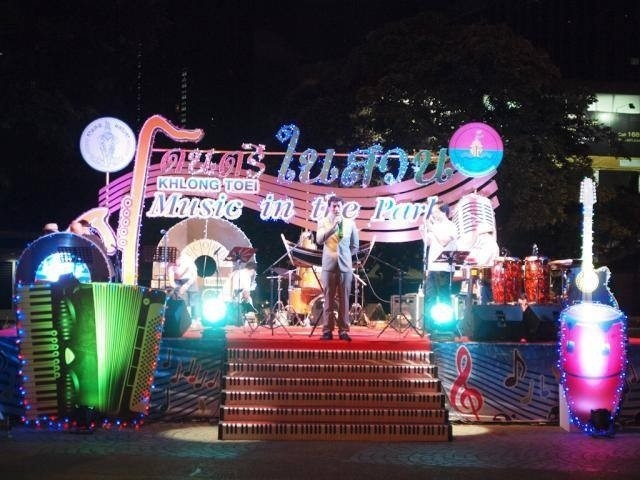 “Music in the Park” by Bangkok Metropolitant. 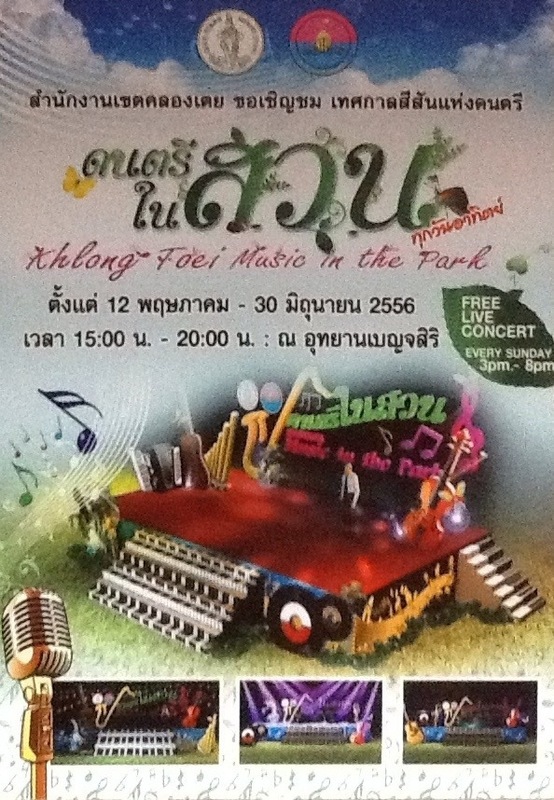 Our band, @iHearBand , will play on this Sunday June 9, 6:30-9:00pm at Benjasiri park near Emporium shopping mall. Our team include @iPattt @iNattt @plajazz will lead the band and featuring @kristkwan , jazz singer and international entertainer. Moreover, we will have jam session with our felllowship such as drummer (@sexdrum), opera singer (@ichattt), talented singer (@iPoup2e), and more! Benjasiri park is public park for exercise, walking street and also dream place for picnic. Take off BTS Prompong and then just next to Emporium shopping mall. This concert is free and you can join us by requesting song, tweet #iHear or share our facebook page.